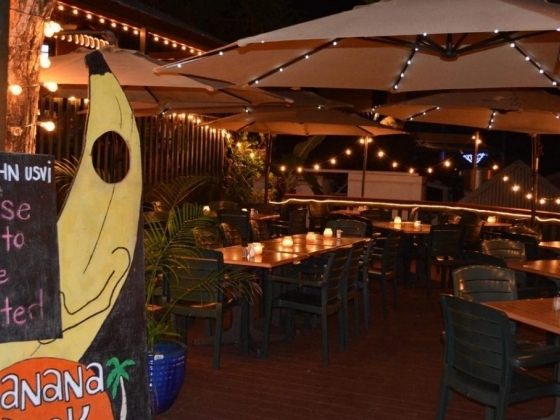 Aloha and welcome to The Banana Deck, home of St John's only Hand-cut Ribeye's. 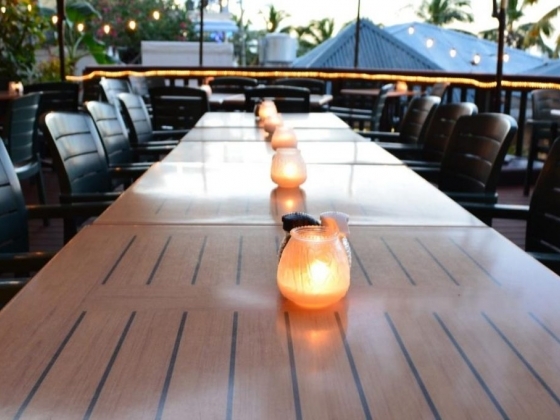 Our specialty is great food and service with an atmosphere to match. 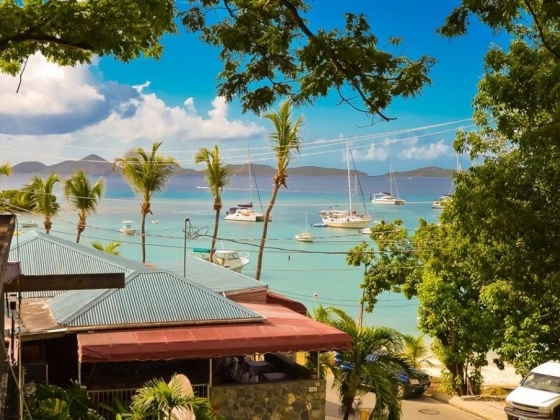 Sit in our open air dining room or our newly remodeled bar and enjoy the incredible views of the crystal clear water of Cruz Bay. We offer Happy Hour daily between 4:30 and 6:30 at the bar. Definitely don't miss our famous Bottomless Pour Your Own Bloody Mary and Mimosa Bar, where you can create your own specialty Bloody Mary. Build it from the ground up with your choice of size, liquor, ingredients, toppings and seasonings. 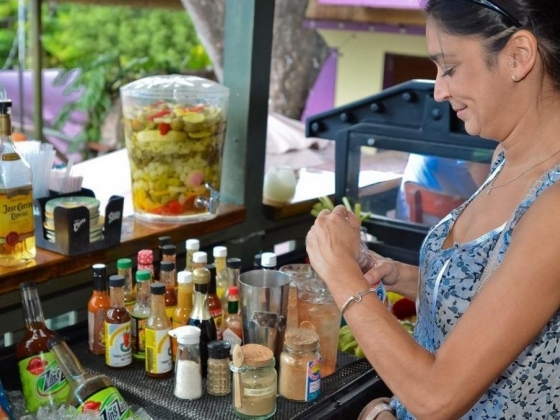 We have over 10 specialty hot sauces to choose from, as well as our house infused Spicy Vodka "a la Fluff". Every Saturday & Sunday from 11:00am-3:00pm. 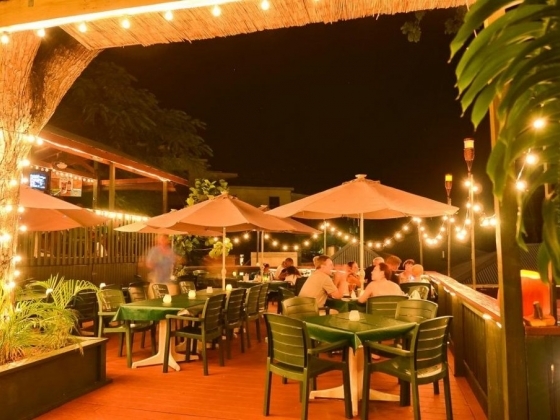 Located downtown, we are a short walk from the ferry dock, across from the Beach Bar and Wharfside. Just a flight up, but a world away. Reservations Recommended. Hands down, the best meal we have ever had! Our Valentines Day dinner at the Banana Deck was culinary perfection!!! The filets were mind blowing and the Caribbean lobster was sweet and tender. We have not stopped talking about that meal for two days now, and I am sure we will continue to reminisce in the future. 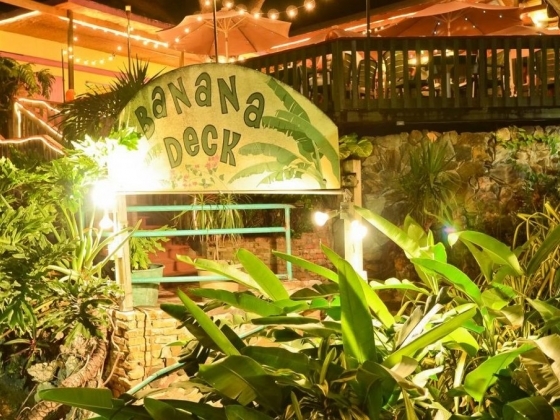 Our dinner at the Banana Deck was, without a doubt, one of the highlights of our trip.